Happy New Year, everyone. 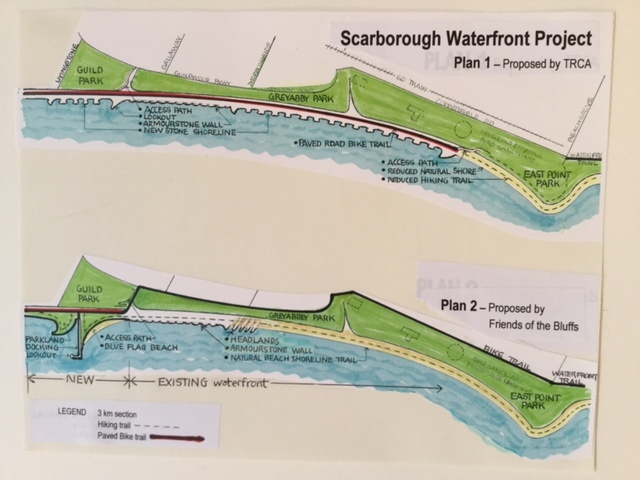 I thought I’d get 2017 rolling with some thoughts on the TRCA’s recent update to their Scarborough Waterfront Development Project (SWP). In case you haven’t yet learned, the TRCA is planning to roll out a whole multi-year make-work project at the Scarborough Bluffs lakefront, from Bluffer’s Park at the foot of Midland Avenue, all the way east to approximately the mouth of Highland Creek at East Point Park. 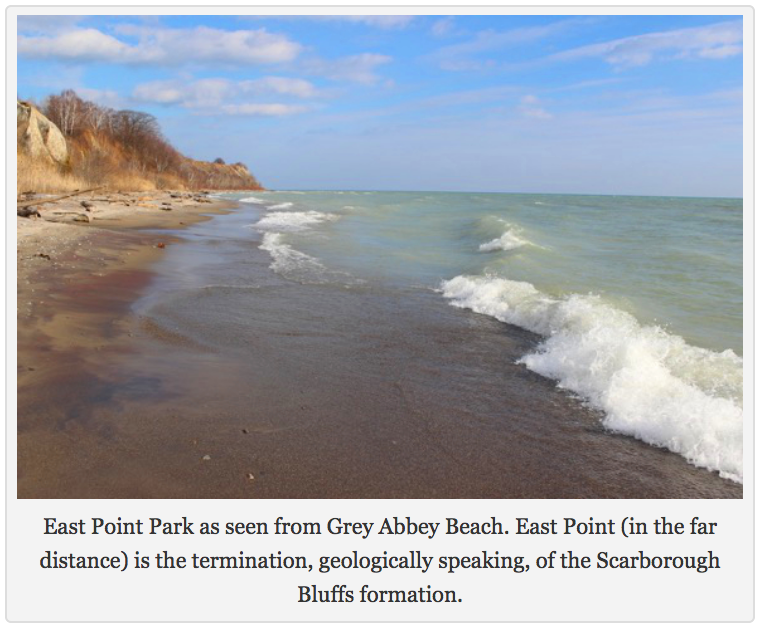 As part of the project, conveniently financed on the taxpayer’s dime, the TRCA proposes to obliterate (yes, you read that right) over half of the last remaining natural stretch of sand beach on the mainland of Toronto. The area in question is the beautiful, wild Grey Abbey Beach, which is adjacent to East Point Park and Beach. The TRCA is attempting to sell the project as an extension of the larger Great Lakes Waterfront Trail system, which already runs, in various iterations, across the entire Toronto waterfront (at Grey Abbey and East Point, it is on the headlands, recessed from the shore). 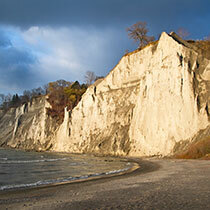 The TRCA also says the “trail” will help prevent the erosion of the Bluffs. To the uninitiated, a waterfront “trail” on the beach may initially look attractive. Harkening back to the boardwalk in the Beach district, who wouldn’t want increased access to the lake along a waterfront trail? The point is that this isn’t a “trail” at all. Nor would the plan increase “access” to the lake — sadly it would do just the reverse by denying any meaningful access to the water’s edge. Witness the current state of affairs at the bottom of Guild Park — a gigantic, elevated road, buttressed with armour rock, currently runs for over a mile to the west, almost to the edge of Bluffer’s Park. What the TRCA wants to do is feed the concrete leviathan. They want more road, not less. As I’ve said before, a wolf is still a wolf, even though it’s all gussied up in sheep’s clothing. Multiple Hummers in width, their “trail” would be built up high over the lake on top of the existing natural beach. Composed of construction refuse, otherwise known as “clean fill”, the beach and adjacent near-shore area would disappear entirely — areas that are home to communities of rare and threatened species. The TRCA, Toronto’s conservation body, proposes to inflict this kind of damage to the shore in the face of other creative ways of dealing with erosion, the likes of which are currently proposed and employed by the TRCA in other areas of the waterfront, including at the Island and in the Bluffs. Guess what? 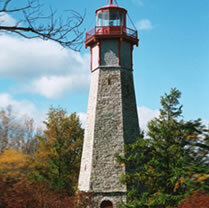 Despite strong and vocal opposition and uncontroverted scientific evidence that points to the devastating effects of unnecessary shoreline hardening, and the area being allegedly “protected” with the city’s environmentally “significant” designation, and despite the TRCA’s very own self-published report that specifically proscribes further loss of the natural shore at Grey Abbey, their position hasn’t changed. Not one iota. Forgive my naiveté. As an active participant in the TRCA’s “consultation process”, I’m gobsmacked. The TRCA’s disingenuous and dysfunctional manner of seeking input on their ill-conceived scheme should concern anyone who is interested in the health and preservation of our democratic process. Incidentally, the consultation process is something John Sewell devotes time to in his new book How We Changed Toronto: The Inside Story of Twelve Creative, Tumultuous Years In Civic Life, 1968-1980. Regardless of one’s political stripe, I’d recommend his book to anyone interested in learning about how governmental institutions and administrative bodies listened in a different era of our city’s history. As John points out, hearing people and drawing on their ideas is the stuff of real consultation. Real consultation is hard, but in the end it shaped the modern, inclusive Toronto we know today. Case in point: On January 11, 2017, the TRCA held a stakeholders meeting on the SWP. 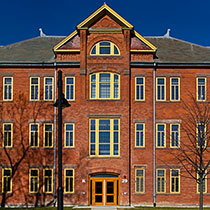 I am told by observers at the meeting that not one person on the stakeholder committee spoke in favour of the project. In fact, many members of the committee indicated that they were virulently opposed to the TRCA’s service road, and spoke out passionately against the plan. University of Toronto students in the Environmental Studies programme who were in attendance at the meeting were aghast, and also voiced their opposition. Mutiny is upon the TRCA and they have invited it through a sham consultation process. Rather than consultation, perhaps the stakeholders meetings henceforth might better be termed as crisis management sessions. Despite the intellectually dishonest approach of TRCA officials, Torontonians and local Bluffs residents are fighting back and a broad coalition is developing. 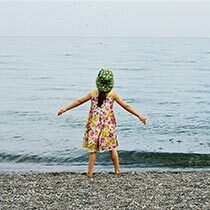 Friends of the Bluffs has presented the TRCA with an alternative waterfront proposal that allows increased access to the lakefront, while at the same time respecting the natural environment and the rare flora and fauna that inhabit the shore and near-shore areas. No further hardening of the Grey Abbey shore is contemplated. 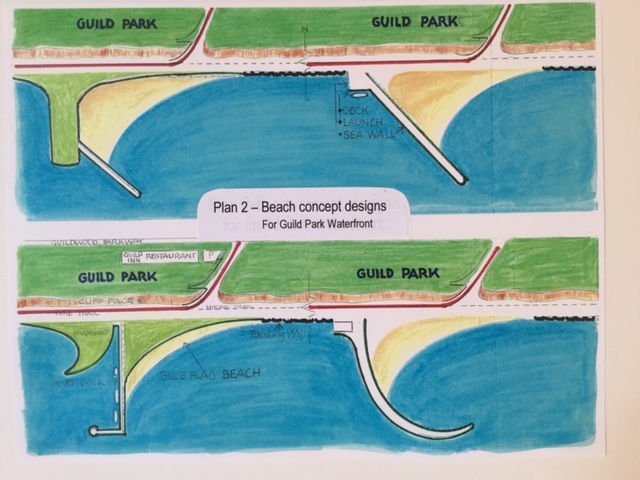 Rather, a blue flag beach is proposed at the foot of the trail that leads from the newly imagined Guild Park, to the shore. Amble farther to the east, past the current concrete “trail”, and reach a natural shoreline with recessed bluffs that extends all the way to the outlet of Highland Creek. As for the new waterfront “trail”, it remains where it is: on the headland, in a location that respects the environmentally sensitive nature of the entire area, all the way to Highland Creek. To the TRCA: I’m willing to bet that the thousands of newcomers to Toronto – those without access to cottages in Muskoka – are far more interested in a picnic at the shore than a concrete roadway in the searing heat. Hmmmmm. If in doubt, take a peek at the videos I’ve done on the subject – one with Christopher Hume of the Toronto Star last winter, and another I did on the fly this summer that fleshes out the rich waterfront experience the TRCA has in store for the years to come. Incidentally, I had the opportunity to walk the beach with the wonderful Parliamentary Assistant to the Minister of the Environment and Climate Change, Arthur Potts, in July of 2016. As we ventured eastward to Grey Abbey Beach at the foot of the Guild, we came across a number of families, entirely cut off from the water and in search of a picnic spot and a place to swim. I assured them that if they just hung there in a little longer, they would make it to the sand and the shore. As the monster roadway gave way to the beach and the waves, we were blown away by the number of people accessing the water, including windsurfers, who consider the Grey Abbey shore near East Point to be among the best places in the city to ply their craft. 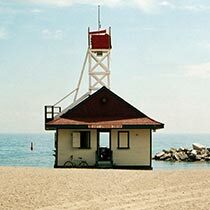 TRCA, ask yourselves: are the tipping fees you very likely will receive from dumping construction refuse (“clean fill”) all over the beach really worth it? Don’t the new Canadians you mention in your discredited 2016 promotional piece deserve better? Readers, I urge you to have a look at the plan below that has been developed by Friends of the Bluffs. The plan was presented to the TRCA in late 2016 and was rejected out-of-hand. (The TRCA confirmed their rejection of the proposal in a letter to Roy Wright, dated January 11, 2017.) If you like what you see, sign the petition. Make your local Councillor aware of how you feel, as well as your local MPP and the Minister of the Environment and Climate Change, Glen Murray. We all know that the environment never wins, wildlife never wins, and people never win when natural beaches are destroyed. Conceptual drawing Number 1 – Waterfront concept for Grey Abbey Beach, east of the Guild Park waterfront. Prepared by Roy Wright. The TRCA’s planned extension of the concrete roadway that currently exists at the bottom of Guild Park, complete with concrete headlands. The entire beach is lost up to the edge of East Point Park and Beach. 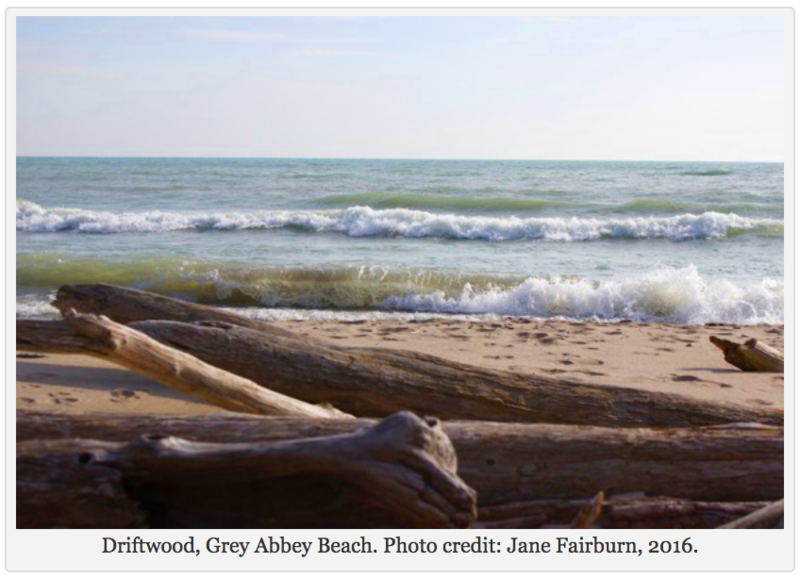 The bottom image represents Friends of the Bluffs’ environmentally and people friendly solution that preserves all of Grey Abbey Beach and creates another beach (with Blue Flag designation), park and limited docking facilities at the foot of the Guild Park trail. Conceptual drawing Number 2 – Friends of the Bluffs’ enlarged waterfront concepts for the foot of the Guild Park path, at the current Guild Park hardened shore. Prepared by Roy Wright. Thanks so much for your tireless work on this. I still cannot fathom how paving a beach can be considered “conservation”. I love the alternative plan and will be reaching out to my councillor, MPP and the Minister to express my dismay at the TRCA’s approach and my support of the alternative proposal. What else can I do to help? Please let me know. This is an important cause and we have one shot to get it right! Hi Jane. I also share your concerns regarding the natural features of the shoreline. Just wondering if Friends of The Bluffs has a preferred concept for the Bluffers Park to Meadowcliffe stretch than what is proposed? will be spreading East where there is also little infrastructure and parking to accommodate the inevitable increased traffic levels. Thanks for your continued efforts to make this “process” transparent, and challenging the TRCA to come up with more natural options for along the shoreline. I wish they would just leave it all alone. I don’t understand why anyone would think paving a beach is a good thing. I’m also wondering what effect all of the rock shores have on the Toronto Islands since they came about because of the bluffs eroding. Jane, Thanks you for sharing this and keeping us up to date on the TRCA’S shocking proposal. I just heard shout this from another source, an artist who wants to sell artwork to support the fight to stop the proposed roadway and destruction of the beach. I thought that TRCA stood for Toronto Regional CONSERVATION Authority. Their plan sounds like destruction not conservation. Have they considered what the loss of natural habitat will do to the flora and fauna? Oh my! Clearly we will have to mobilize forces. Hi Karin. The TRCA is spending a lot of hard earned tax dollars getting Torontonians to drink the Kool Aid on this destructive scheme. 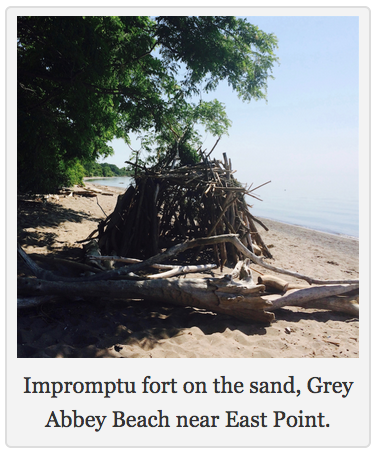 Please let your friend know that she can get in touch with Friends of the Bluffs through http://www.torontonaturalshorelines.ca.